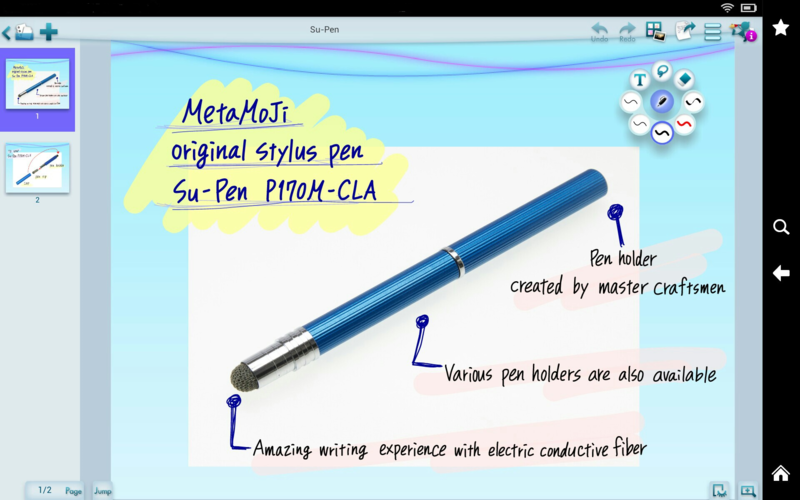 Following the wild success of Note Anytime for Apple, Windows and Android devices, MetaMoJi announced today the game changing note taker and sketching tool will support Kindle Fire next. With Note Anytime, users can transforms their Kindle reader into a productive tool to jot notes, sketch drawings, surf the web and mark up and annotate any PDF document or photo. Mobile users around the world have been buzzing about the latest revolution in free note takers since the introduction of Note Anytime as a universal cross-platform app last fall. With the recent announcement of Android support and now Note Anytime for Amazon’s Kindle Fire, mobile users can have a seamless note taking experience on any mobile device, anywhere in the world. With support for 13 languages and availability in App Stores worldwide, Note Anytime is the “must have” app for mobile computing. 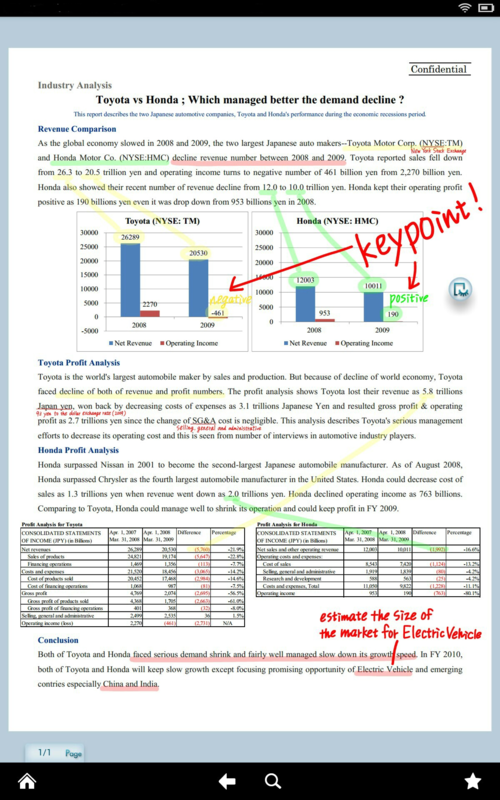 With Note Anytime, users can jot notes, sketch drawings, surf the web and mark up and annotate any PDF document or photo. It is a feature rich app, but the interface is elegant and simple to use. Thanks to the in-app cloud storage called Digital Cabinet, every session in saved in the cloud and can be automatically synchronized between any device. Notes or drawings on the Kindle Fire can be easily picked up on an iPhone or Android smartphone or even a Windows desktop for further editing later. Since the app supports universal formats like PDF and jpeg, Note Anytime provides a seamless universal note taking experience, regardless of device. Since the app is free of charge on nearly every mobile OS, anyone can use this app to organize their lives. Note Anytime for Kindle Fire transforms the user experience from passive activities (such as reading books or social media), to active engagement and artistic creation. With Note Anytime for Kindle Fire, users can jot their notes or sketches easily with their finger or stylus and have beautiful letter curve correction every time. There are even calligraphy pens to add a stylish flair to any note or around any high resolution photo. Business users will appreciate having Note Anytime on their Kindle when they are in a meeting. They can use Note Anytime to type or handwrite notes, sketch around them, import a web page or photo and even do a complex mashup to mindmap a new idea. They can even plug into a projector and use the app as a presentation tool. 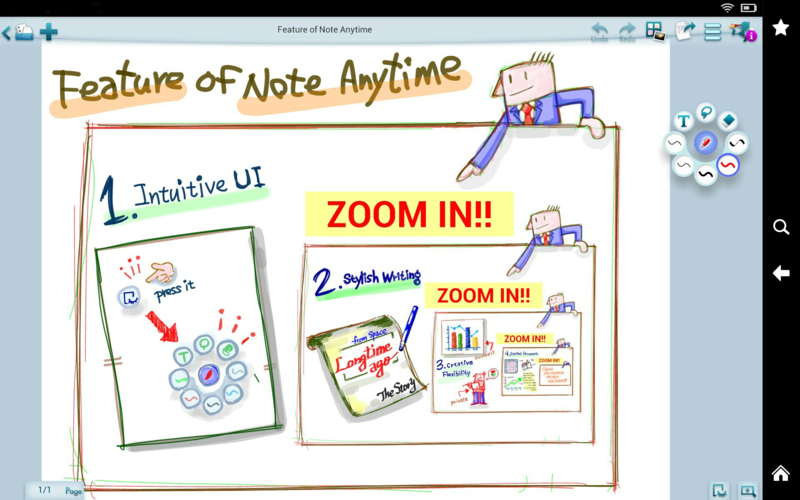 Note Anytime was built to capture inspiration on the fly and to keep it save for infinite re-use later. 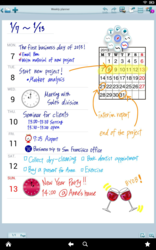 Beyond a simple note taker, Note Anytime is also an interactive web browser. It is a great app for storing receipts or confirmation pages online. Since the app allows users to take a snapshot of any website, Note Anytime is a great tool for capturing details such as contact information following a surfing session. With automatic data synchronization, Note Anytime will always remember the links if users ever want to revisit the websites later. Every inspiration captured within Note Anytime can be easily broadcast to the world with generous social sharing functions such as Twitter, Facebook, Tumblr and email capability. With Note Anytime, the Kindle experience becomes a fun and interactive tool to reach out to the world. Note Anytime is now available in Pre-release version from the Amazon App store, with final release available on App stores in 13 languages worldwide on May 15.